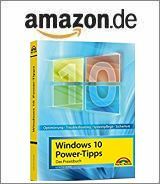 [German]Microsoft surprisingly released update KB4011029 for Outlook 2013 on December 20, 2018. It is a maintenance update which corrects a bug in mail delivery rules. Update KB4011029 for Outlook 2013 is only available for .msi installations. Click 2 Run installations will get the updates via other channels. Microsoft states that the following bug has been fixed. This entry was posted in Office, Software, Update and tagged KB4011029, Outlook 2013, Update. Bookmark the permalink.